Interesting thing: This presidential elections are showing without a doubt that the most important element dividing the 99% is the two-party system. When you look at the two ‘outsiders’ in the primaries, Trump and Sanders, you can see that their respective supporters are complaining about the same problems; the proposed solutions is what separates them…and the degree of racism and lack of class-identification. In other words, the American people, in its totality, feels oppressed and abused by what in any other circumstance would be considered a tiny and statistically insignificant percent of the population, the 0.1%. Of course, it is from that mathematical reality that the class issue gets its importance: that a statistically insignificant percentage of people, the elite, can oppress the immense majority of the people of nation. This confluence of angry voters, this meeting-in-pain between these two seemingly opposite sides, the T and S, makes it fun imagining a presidential ‘independent’ ticket of Trump/Sanders. Trump is the billionaire and would not let the barely-a-millionaire Sanders at the top of the ticket. So, clearly, at least to me, it is the two-party system that keeps the working class and the about-to-be-extinct middle class divided. Rarely in the history of the US has this truth being so patent, which begs the question: How is it that the middle class can’t see it? Instead of analyzing how the two parties quash their hopes, the two camps run to their respective corners and battle each other from there, from within the two parties. 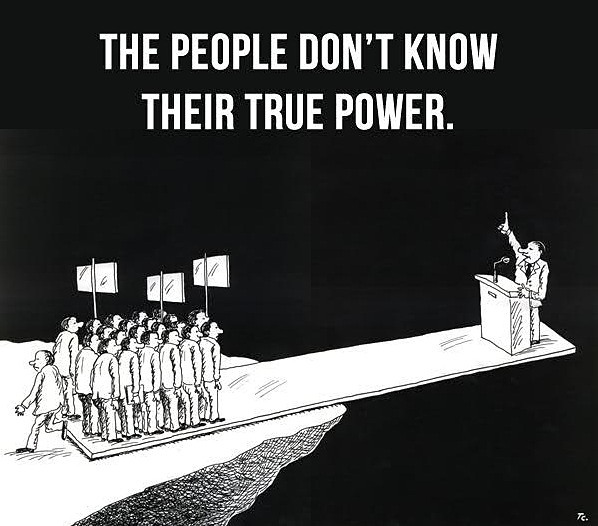 They correctly identify the political issues but expect the party owners (big donors), will solve the issues for them. 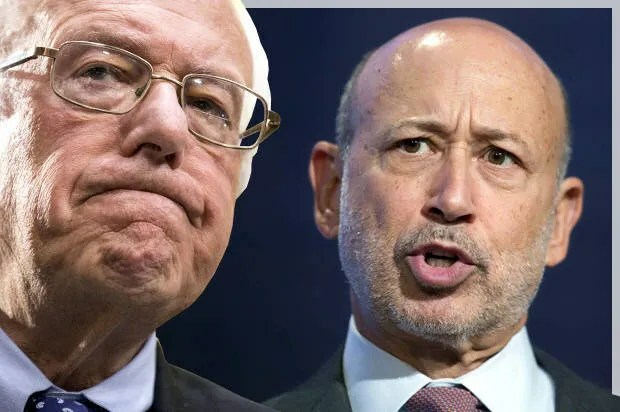 The Sanders’ camp market their hero from within the democratic party as an ‘independent‘, despite Sanders being on record promising his loyalty to the same party he and his followers accuse of being corrupt and against the interest of the 99%. You can’t comb and tease your hair at the same time, folks. He has been on the democratic party since…ever. In the 2000 presidential elections he went belligerently against Ralph Nader, a true independent candidate for the presidency and supported by every independent, progressive, leftist and socialist group (including in Sanders’ state), and instead supported no other than Kerry against Nader to protect the democratic party! During the 2004 election, Sanders announced on Vermont Public Television, “Not only am I going to vote for John Kerry, I am going to run around this country and do everything I can to dissuade people from voting for Ralph Nader… I am going to do everything I can, while I have differences with John Kerry, to make sure that he is elected.” Idem. If Sanders is so against the two-party system, how come he hasn’t created a third-party, how come he has never supported any of the left-wing independent parties? How come the record shows he has voted 98% of the times with democrats, except those times he voted with republicans (like for bail out of WS and for funds for the Pentagon and against the Palestinians…) Those are inconvenient questions for Sander’s fans. There are many more inconvenient questions they refuse to consider. As for the Donald, well, it is not difficult to correctly guess how far he would go, as a president to help the working class. Both candidates refused to go alone, independent; they both chose to stay within the machinery they both condemn. They both fill their followers’ hearts with the false hope that the party is the instrument for change, the instrument to ‘level the field’, the instrument for revolution’. They have both shown their duplicity: Sanders from within the democratic party, talking about ‘revolution’ while sabotaging said revolution; Trump from his high tower, literally and figuratively, promising to drop some crumbs to the restless peons. I wonder what would happen next if Sanders wins the presidency and shows his true color: will the working class finally get it, that they need a party of their own, or will they get ready to follow the next pied piper promising them the pie in the sky? P.S. I didn’t mention Hillary because she is not the one portraying herself as the ‘revolutionary’. We all know how far she can go.